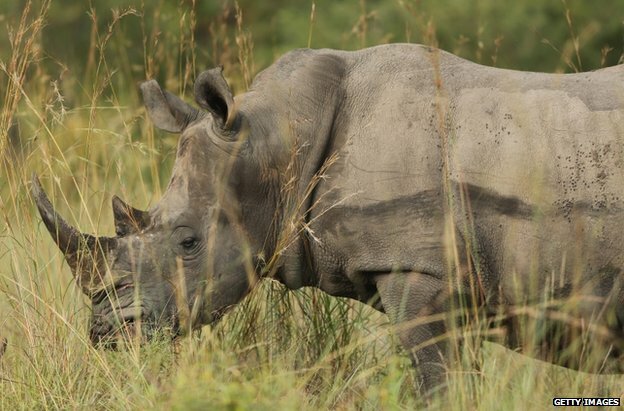 Robbers in South Africa have stolen rhino horn from a provincial parks agency, in what may be the country’s biggest such theft to date. They cut through steel safes at the Mpumalanga tourism and parks agency (MTPA) in Nelspruit, taking up to 40 horns, police and local media say. South Africa is home to most of the world’s rhino population. Record numbers are being poached and killed in the country for their horn, which is prized in east Asia. 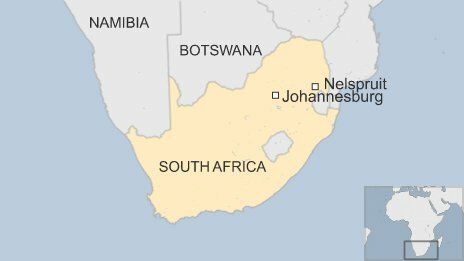 The thieves struck on Sunday night in the north-eastern city, South Africa’s Lowvelder newspaper reports. “The culprit[s] cut open two steel safes fitted with double locks,” a source described as a senior MTPA official told the paper. The thieves “knew where they were going and what they were going to do”, Paul Ramaloko, a spokesman for a police anti-corruption unit known as the Hawks, was quoted by Bloomberg news agency as saying. No arrests have been made, the agency added. Rhino horn sold illegally can fetch as much as $95,000 (£56,500) per kilo (2.2lb) – more than gold, Bloomberg notes. Poachers killed 1,004 rhinos in South Africa last year, the authorities say. South Africa’s black rhino population has doubled over the past two decades from a low point of 2,480 but its numbers are still a fraction of the estimated 100,000 that existed in the early part of the 20th Century, the WWF says on its website. Southern white rhinos, once thought to be extinct, now thrive in protected sanctuaries and are classified as Near Threatened, it adds.